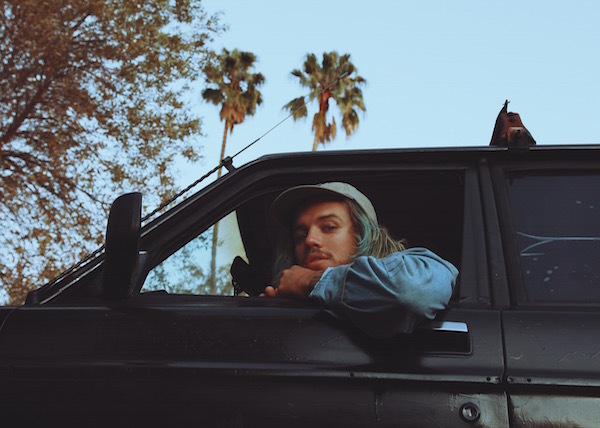 Denm is a Californian garage pop artist out with a genuinely compelling piano rework of Outkast’s “Hey Ya”. Later this Spring, we expect a new EP from Denm, who broke the 2 million listen mark on Spotify with his last single, “Lit”. You can listen to both tracks & his Dreamhouse EP below, and then take a gander at a brand new playlist he made exclusively for IMPOSE. What’s up!!! I’m DENM.. AKA young dennis.. AKA lil dennys grandslamwich… haha just kidding. But seriously. I’m kidding. But I respond to all of them. JK. But for reals. ANYWHOS.. now we got that dope intro out the way, let’s dive into this playlist. i play in a band as well as being denm. and as a band we’ve toured for years and played so many shows all over north america. with that being said, we have a playlist we like to play before and after our set to get the crowd hyped up before we even go on. and break from toronto is one of those songs and every single time i hear it, it so nostalgic and takes me right back to being in some city somewhere with my best friends. so many fun memories with this song involved. man. where do i even begin. this song goes so hard. i just love it. thats it. when that chorus hits. ugh. he just paints this picture in the verses and then it just hits so hard when you get there. i love it. all i gotta say is.. second verse. right at 1:18 when the drums and bass kick in it feels soooo good. its crazy how tight the two instruments are together. then that chorus after.. FOOF. the bass line that walks up is so nasty. plus miguel is just a super star and his voice amazing. I remember when i first started doing music for a living. and coming to LA all the time with the drummer in my band who’s also a killer producer and songwriter. he used to drive this mazda with a sound system much better than my 87 volvo wagon haha. and we would stay at our managers house in laurel canyon and go to sessions or whatever and it was after channel orange came out and we would just trip out on how perfect the whole record is. but we would recite this song front to back. slur along with earl sweatshirt as he lays down his verse. the whole song is so true. LA rich kid life is so messed up. this song captures the twisted world in such a beautiful way. little bit of a change of pace. but there is a story. basically when i was a little kid, like 7 or 8.. i got the cd, and i put on my headphones and pressed play on my walkman. i had my eyes closed and i specifically remember i had never heard a mix like that. i didn’t even know what a mix was or how music was even made. just a basic little kid consumer. but i specifically remember thinking how it sounded like they were playing right in front of me. and I’ve never heard another mix like that since. that memory has stuck with me my whole life. and now its an obvious go-to for karaoke haha. it gets the party poppin everytime. its what i do. the king of vibe. his flow and melodies are untouchable. when those hi hats kick in, then they go to the 16th. goodness. you just make that thizz face type look and just appreciate how vibey it is. “get in the ride, left hand is steering, the other is gripping your thigh.” i mean come on, thats so simple but so brilliant. like i am taken back to every memory of me driving with my girl. the internet is amazing straight up. like musically and creatively one of the best bands right now hands down. plus kaytranada on production is like an unstoppable combo. massive fan of both. and i just love the the way those vocal harmonies act as a pad. or if it a pad that just sounds like vocals. either way its so dope. and that guitar arp. too good. and the beat almost feels slightly rushed which is super unique. i love this song. so much swagger. Alright hope you dig this playlist. young dennis, OUT. Keep up with DENM via Facebook and Twitter.